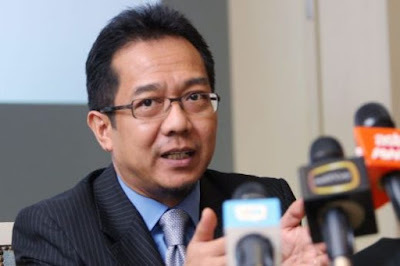 KUALA LUMPUR: The development of the service sector under the 11th Malaysia Plan (11MP) will be guided by a blueprint involving 29 action plans said Deputy Minister in the Prime Minister's Department Datuk Razali Ibrahim. He said through these action plans the government expect the service sector to grow at 6.3% per annum throughout the 11MP period commencing this year until year 2020. "By year 2020, the sector's contribution to Gross Domestic Product (GDP) is expected to be 56.5% and 9.6 million workers will be employed," he said in reply to a question from Senator Datuk Mohd Suhaimi Abdullah during question and answer session at the Dewan Negara sitting, here today. Razali said to achieve the target, the government had introduced five strategies to develop the service sector. "Through the first strategy, the government will create a dynamic environment for intensive services by accelerating human capital development and enhancing technology, research and development," he said. Through the second strategy, the government would strengthen governance in a comprehensive and integrated manner through close cooperation and coordination among stakeholders and efforts to modernise the regulatory systems, he said. "For the third strategy, the government will intensify internationalisation by helping companies to export services through improved access to finance, skilled labour and market intelligence," he said. The fourth strategy would be to strengthen investment incentive management by providing more effective, transparent and performance-based incentive programmes. The fifth strategy will be to improve growth of modern services such as the halal industry, Islamic finance, information and communication technology, oil and gas, private health care, private higher education, eco-tourism and professional services.